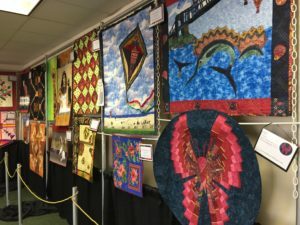 January 27 thru 29, 2017 is the 14th Annual Jefferson Quilt show known as “Quilts on the Bayou”. During the month of January when you have been trying to relax after the hurried rush of the Holidays, you will want to take a weekend to relax and get your creative juices flowing. Or just delight in the eye candy of gorgeous quilts made by others. Even if you are not a quilter or a seamstress, you will have a great time in Jefferson for the weekend. My absolute favorite parts of the quilt show are the classes and seminars and then I have an affinity for seeing all the new tools for sewing. And of course, I can never pass up the vendors that have the most wonderful, luscious fabrics and new gadgets to try. Last year I sat in on one of the Classes for applique. I tell you this classroom had quite a few attendees and we all learned so many tips and tricks and the best methods for working with your quilts. I sure would encourage anyone who wants to learn new techniques to take any of the classes while you are here in Jefferson for the weekend. There is the Viewer’s choice open show with cash awards, workshops, demonstrations, lectures, door prizes a raffle quilt, merchant’s mall and many exhibits so see. I would sign up for a class.